WE ARE A NON-PROFIT ORGANIZATION AND RUN SOLELY ON DONATIONS. 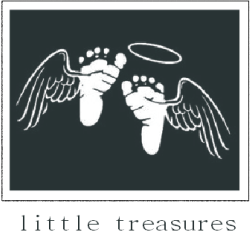 WHILE MONETARY DONATION ARE ALWAYS WELCOME, WE ALSO ACCEPT DONATIONS OF BABY CLOTHES, BLANKETS, AND STUFFED ANIMALS (BEANIE BABIES PREFERABLY). WE USE THESE ITEMS TO DRESS AND PREPARE THE BABIES PRIOR TO BURIAL. BLANKETS PROVIDE COMFORT AS THEY TRAVEL TO THEIR FINAL RESTING PLACE AND STUFFED ANIMALS PROVIDE A FRIEND, SO THE BABIES ARE NOT ALONE ANYMORE. 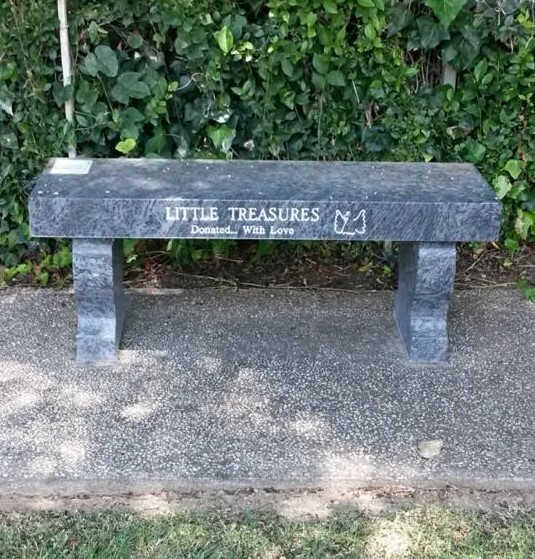 WE ARE PLANNING TO PLACE AN ADDITIONAL BENCH IN OUR SECTION OF THE CEMETERY TO ALLOW THE PUBLIC TO SIT AND VISIT WITH OUR LITTLE TREASURES.